But be cautious: Although useful, humidifiers can actually make you sick if they aren't maintained properly or if humidity levels stay too high. If you use humidifiers, be sure to monitor humidity levels and keep your humidifier clean. Dirty humidifiers can breed mold or bacteria. If you have allergies or asthma, talk to your doctor before using a humidifier. Humidity is the amount of water vapor in the air. The amount of humidity varies depending on the season, weather and where you live. Generally, humidity levels are higher in the summer and lower during winter months. Ideally, humidity in your home should be between 30 and 50 percent. Humidity that's too low or too high can cause problems. Use a dehumidifier. These devices collect excess moisture from the air, lowering humidity levels. 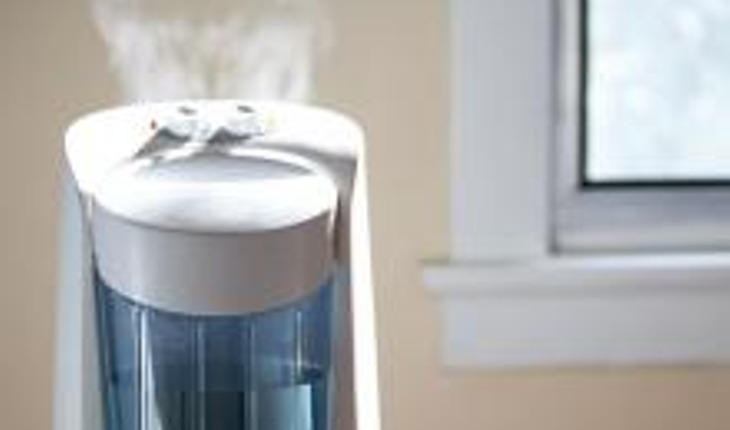 Dehumidifiers work like air conditioners, without the "cooling" effect. They're often used to help dry out damp basements. Change humidifier water often. Don't allow film or deposits to develop inside your humidifiers. Empty the tanks, dry the inside surfaces and refill with clean water every day if possible, especially if using cool mist or ultrasonic humidifiers. Unplug the unit first. Change humidifier filters regularly. If the humidifier has a filter, change it at least as often as the manufacturer recommends — and more often if it's dirty. Also regularly change the filter in your central air conditioning and heating system. Reprinted from www.mayoclinic.org. For more information, visit www.mayoclinic.org.